On the internet you can find almost any information about the new 2010 Mercedes Benz SLS AMG but until now I didn’t see any spy photos with it. There is enough time until next year when this car will be launched and I don’t think that the new 2010 Mercedes Benz SLS AMG will escape unspyed. The new 2010 Mercedes Benz SLS AMG will be packed with a 6.3 liter V8 engine that will develop 571 horsepower and a torque of 479 lb-ft. 2010 Mercedes Benz SLS AMG accelerates from 0 to 62 miles per hour in 3.8 seconds and it can reach 197 miles per hour. The new 2010 Mercedes Benz SLS AMG will be launched in the 2010’s spring and the prices will start from $170,980; a price that is not too big, but at the same time, not too small for such a car. This car realy deserves to make part from a Bond movie because it sounds to be very agile and fast. 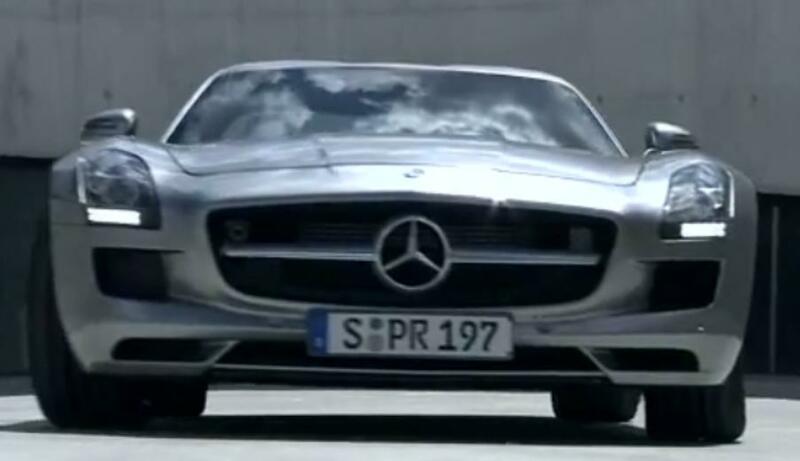 In the future, we will probably talk about some spy photos with the new 2010 Mercedes Benz SLS AMG so stay tuned to automotorblog. Video: Would You Drive a Volvo Keyless Car?